Japanese automaker Mitsubishi has launched the all new Outlander SUV today. This marks the end of a six year lapse during which the company made no proper launches in India. The pre-booking process for the car had been already going on for some time now and the car retails at a price of Rs. 31.84 lakh (ex-showroom, Delhi). Also, this model has actually been on sale since 2015 globally but it is only now that the company is bringing it here, as a CBU (Completely Built Unit). 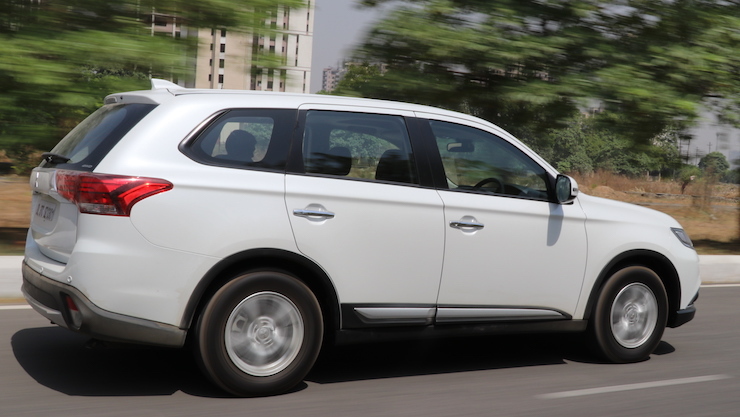 The new Outlander’s design language is quite different from the previous models of the company in India. It features a big chunky chrome grille along with LED headlamps and LED daytime running lights at the front. The car rides on premium looking stylish alloy wheels and sports LED tail lights at the rear end. Talking about the interiors, the biggest change is in the seating layout. The SUV now has seven seats on offer which is two more than the previous iteration. The cabin is loaded to the brim with features like a 6.1-inch touchscreen infotainment system, 710-watt Rockford Fosgate audio 4 speaker system and leather upholstered seats. It also is equipped with dual zone climate control, keyless entry, auto headlights, paddle-shifters, electric parking brake with auto hold and an electric sunroof. The Outlander is available only in a single fully loaded model currently, with plans of bringing a hybrid model on board soon. Engine duties are performed by a 2.4-litre, four-pot, naturally aspirated petrol motor that produces 167 Bhp of peak power and 222 Nm of torque. A CVT transmission does the job of sending power to all the wheels. The SUV has a lot of safety tech up its sleeves, including six airbags, ABS with EBD, ASC and HSA, all of which are standard. 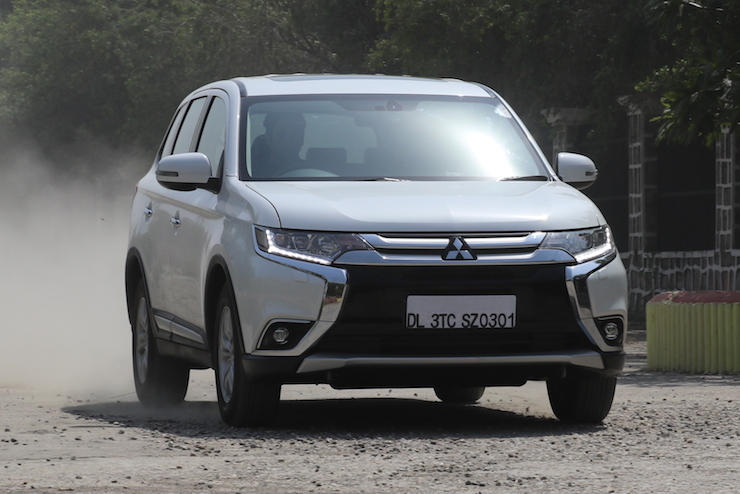 The Outlander feels like a solid built package as of now and Mitsubishi has upped the ante for the competition. Rivals include the Skoda Kodiaq, Toyota Fortuner and Ford Endeavour among others. It remains to be seen how the Outlander fares against them on the tarmac.